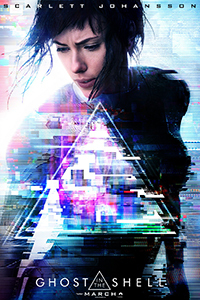 A female investigator, reborn with her human brain in a cybernetic body, tries to uncover her own origins as well as her possible connection to a terrorist hacker. Joining the MPC Design team during the last 2.5 months of post production, the department was predominantly in charge of creating certain holographical elements for the film, f.ex. such as the 'Red Room' and the tabletop devices. I was brought to work on multiple shots on different sequence to composite the elements into the plate and provide additional enhancements, as well as support others with their work, as I had previously collaborated with several team members before on previous assignments. Throughout the project, the small comp team worked together on a very collaborative basis which occasionally meant handling duties on individual elements and thus handing shots back and forth to get changes updated at a quick turnaround rate for entire sequences.